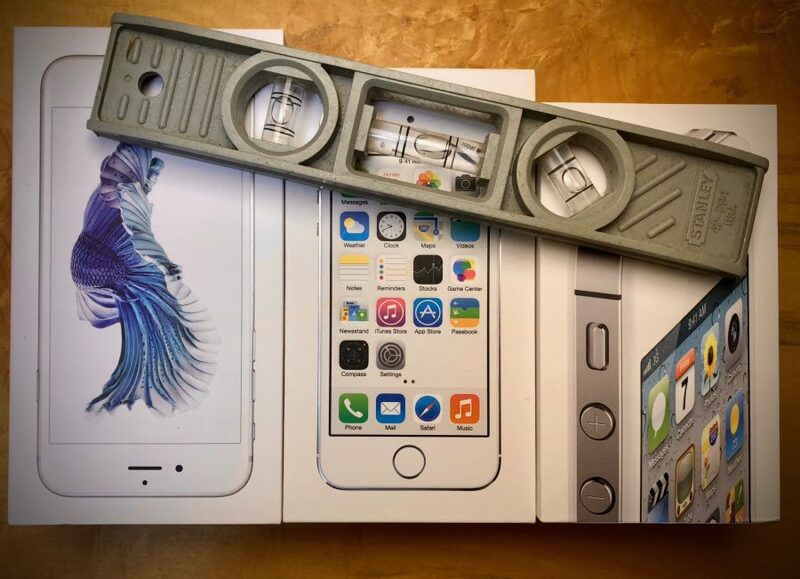 Have you ever tried to use your iPhone or iPad take a picture of a box, a sheet of paper, or something else that’s precisely rectangular, but been annoyed that the image came out skewed because it was difficult to hold your camera straight? First, turn on Grid in Settings > Camera, so thin white lines divide the viewfinder into a grid of nine rectangles. The lines help you compose your shots with the rule of thirds, so it’s a useful option to enable anyway. Now, here’s the trick with the camera level: it appears only if you’re holding the iPhone or iPad flat, so the camera points straight down toward the floor or straight up toward the sky. It manifests itself as two crosshairs: a yellow crosshair marks the position where the camera will be level, and a white crosshair shows the camera’s current position. Using the level is simple: tilt the camera until the two crosshairs merge into a single yellow plus sign. The hard part is keeping them together while tapping the shutter button. In the first screenshot above, you can see how the Apple TV box looks skewed. However, once I made sure the camera was level for the second screenshot, the edges of the box came out perfectly square. Unless you take a lot of product shots, you probably won’t need the camera level often, but it and the gridlines are so subtle and useful that it’s worth leaving them on so they’re available for times when you’re trying to avoid skewed edges. Have you found any other subtle new features in the Camera app in iOS 11? Let us know in the comments! For more iOS 11 tips, check out my book, Take Control of iOS 11.